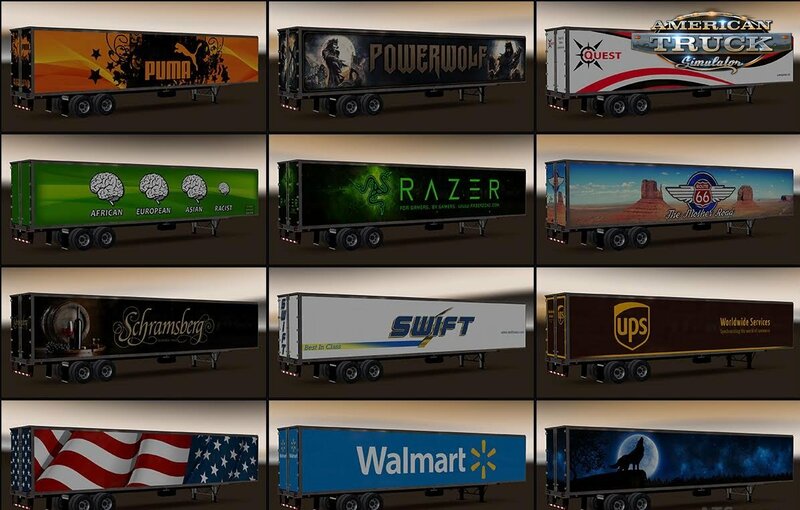 New USA Trailers Pack v3.0 (1.30.x) for American Truck Simulator game. – Bar on chrome parts replaced to rivets. – Added Bad Dragon cargo to Albuquerque airports. 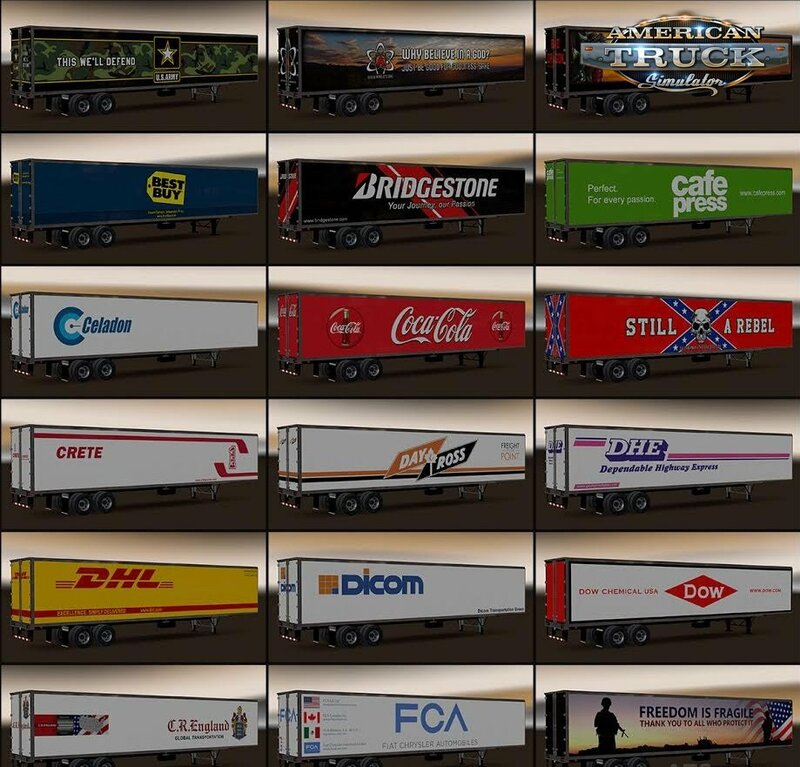 Mod adds a large number of new standalone trailers with non-refrigerated cargoes. All trailers support advanced coupling and added in traffic. Without logo – other companies. 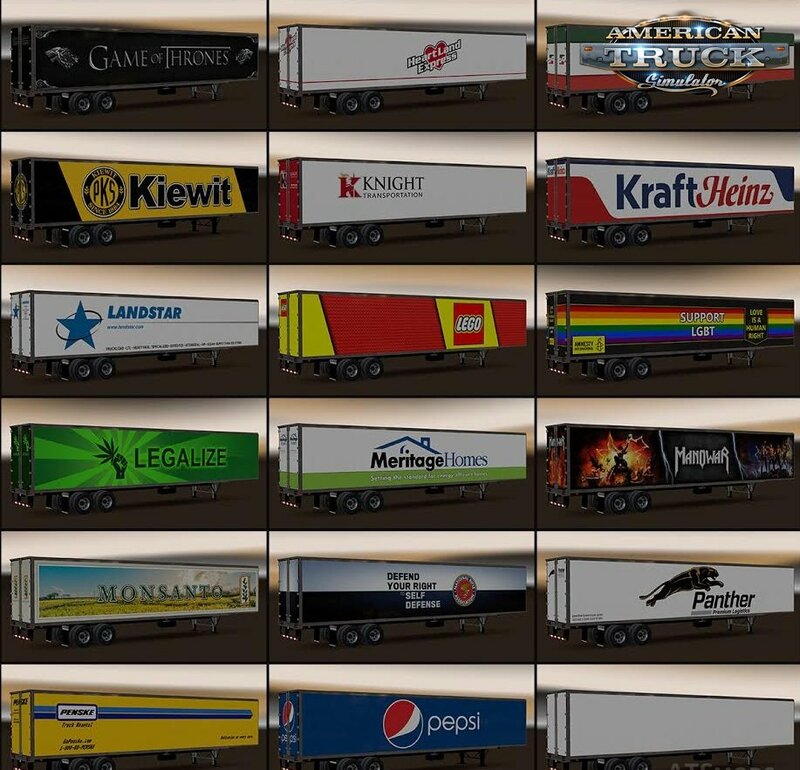 Other trailers can be found in various companies.